We work with our network and their clients to understand women's financial needs. Based on research we design products that address the barriers that keep women from accessing financial services. 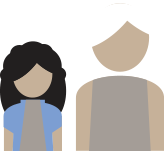 We beta-test financial products and services to ensure they actually benefit women. We learn from the beta sites and adapt products for new markets to reach more women; we measure impact to understand our effectiveness. We share our knowledge and advocate for financial inclusion globally. Globally, women are less likely to have a bank account than men. they are better able to invest in their future and their family's future. The global economy has missed out on 27% of GDP growth per capita due to gender gap in the labor market. Missing women's contributions to the local and global economy misses an opportunity for economic growth. Giving women access to the financial tools she needs allows her to build assets and plan for her future. She can take better care of herself and her family. Women have proven to be better repayers and more loyal clients, who take advantage of multiple financial products, including insurance and pensions, when given the opportunity.